From our lively bar centered in the restaurant featuring an Extensive Wine List, Martinis, and Craft Cocktails to our unique dining rooms and broad menu, Sarento’s is sure to please even the most demanding appetite. Please contact us at Manager@SarentosRestaurant.com to assist with your private dining menu selections. 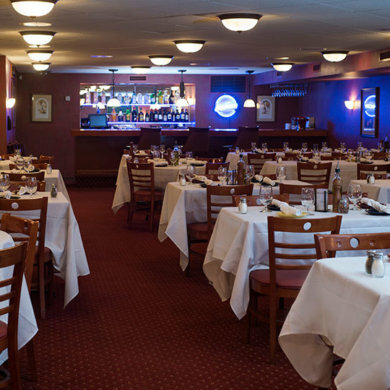 Whether you are entertaining close family & friends, or hosting a business function, you can count on the professional staff at Sarento’s Italian Restaurant. 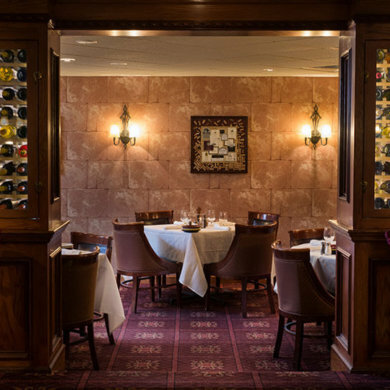 Guests enjoy our Italian décor incorporating dark woods, hand painted murals and deep color palette that creates a warm and inviting atmosphere. 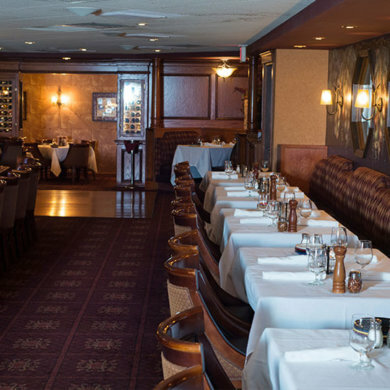 At Sarento’s Italian Restaurant, we feature four private dining areas to accommodate dinners & receptions for 20-150 guests. For more information about Sarento’s private dining rooms, click here. Live Music 5 nights a week (Tuesday and Thursday – Sunday). Great for bachelor/bachelorette parties, birthday parties and cocktail hours. Extensive Wine List, Martini and Craft Cocktail Bar. Be sure to check out our nightly specials only in the Piazza Lounge! Great for large company parties, weddings, and wedding rehearsals. Seats up to 150 guests. 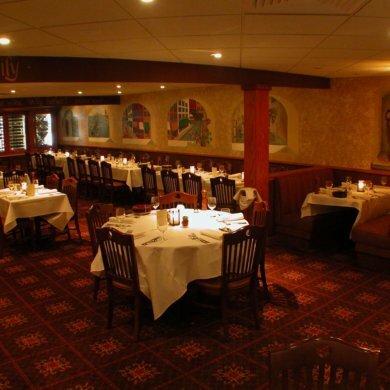 There is also an option to reserve a portion of the Tuscany dining room for smaller groups. Seats 50-100 guests in the lower level. Great for corporate events, business presentations, large family reunions, holiday parties, wedding parties with DJ’s and wedding rehearsals. Small dance floor available. Private Bar with cash handling capabilities. Seats 20-30 on the Main Level. Semi-private room off of the bar. Great for rehearsal dinners, smaller business gatherings, holiday parties and family reunions.